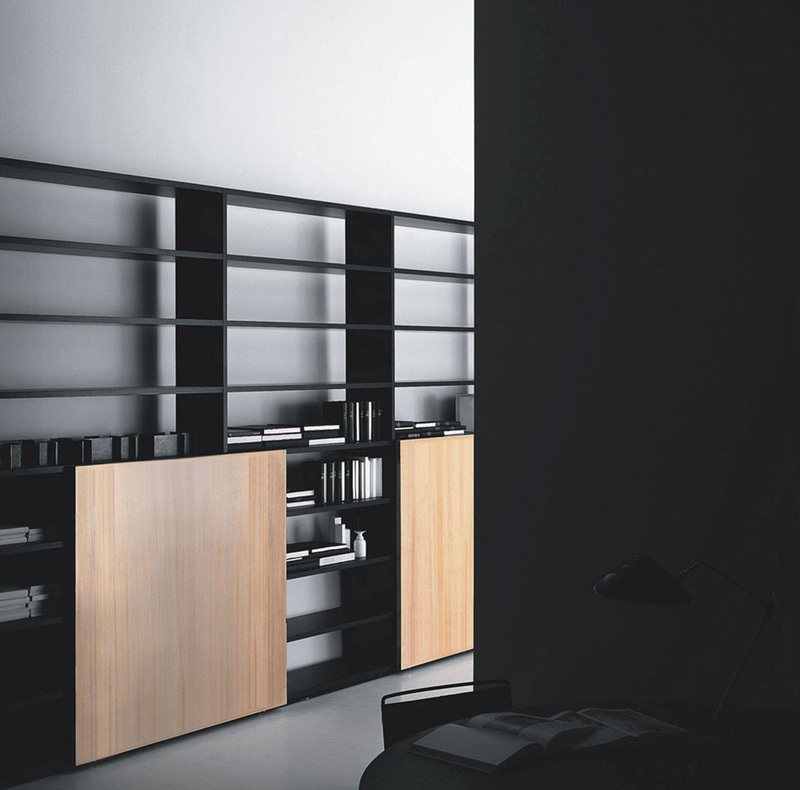 Versatile, intelligent, flexible: System enters the home and the office to meet the needs of personalities, inclinations and lifestyles of those who live there. With the wide variety and superior quality of its finishes, System is the ideal solution to plan custom furnishing projects, since it can be intelligently adapted to create highly diverse settings: classic, sophisticated, informal, or elegantly traditional. 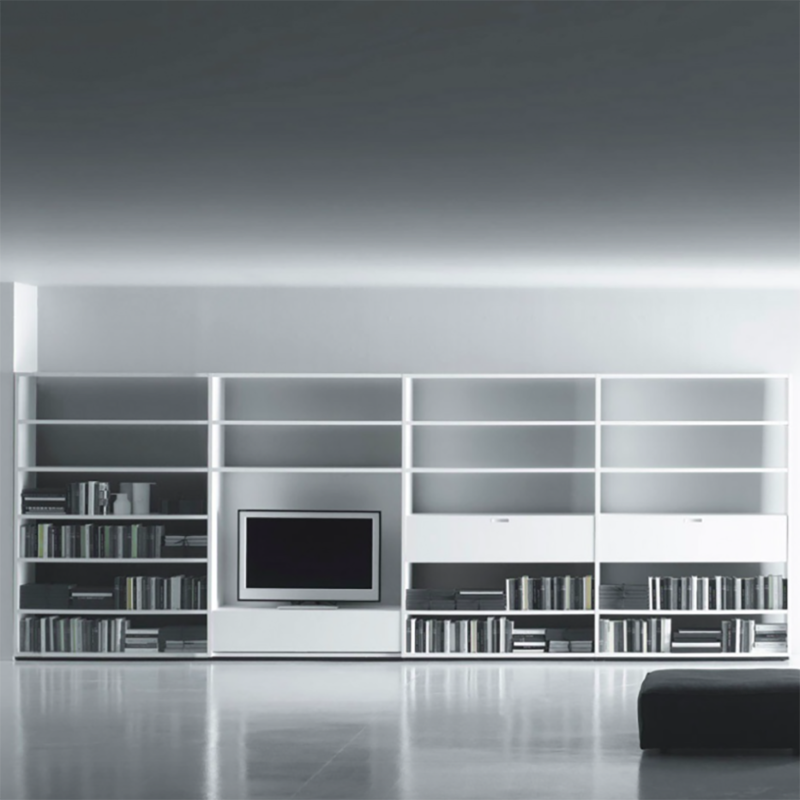 Multifunctional and eclectic due to the many functions it provides, System can be used as a bookcase, a module for electronic media, an office area, or even as an element to divide rooms and create equipped walls. Inspired by the precision and flexible project features of fine contemporary design, System has a strong and balanced personality defining room areas in a definitive way, while improving their efficiency and appearance.